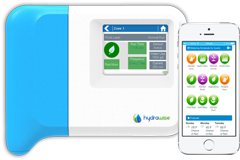 A smart controller like Hunter’s Hydrawise will save up to 50% on your water bill. 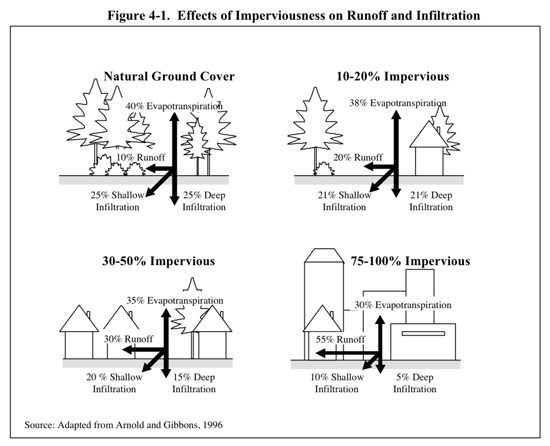 In our area, Hunter estimates a water savings of 79%. 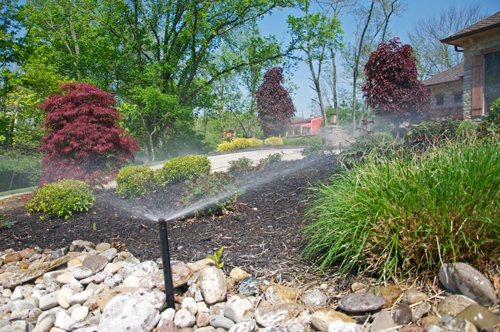 Installing a smart controller for your lawn sprinklers is our number one tip because the water savings is that impressive. How does it work? 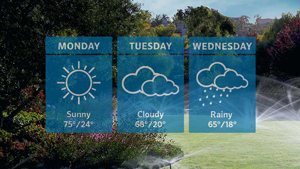 Using local weather stations, the controller practices predictive watering, which stops your sprinklers from turning on if rain is in the forecast. Conventional washing machines built before 2011 use around 40 gallons per load. Modern High-efficiency washers use as little as 15 gallons. When you need to replace your machine, go for high efficiency. And washing full loads instead of small loads helps, because you’ll end up washing fewer overall loads. Not only does a solar cover keep your pool water warmer, it prevents some evaporation (and keeps out more leaves and debris!). Good news! Using a dishwasher uses less water than hand washing. So put away your rubber gloves. And new, efficient dishwashers are even better water savers. Again, try to wash full loads instead of partial loads. Faucets, toilets, showers and even your sprinkler system can all develop leaks. You can use your water meter to see if you have any undetected leaks on your property. Take an initial reading, then avoid using any water for two hours. If the meter doesn’t read exactly the same when you check again, then there’s a leak somewhere. If you are a member of our ‘No Worries’ Lawn Sprinkler Management Program, we constantly monitor your system for leaks and will alert you if we find one. A low-flow showerhead uses less than 2.5 gallons per minute, compared with 5-10 gallons per minute with other showerheads. These are inexpensive and easy to install.